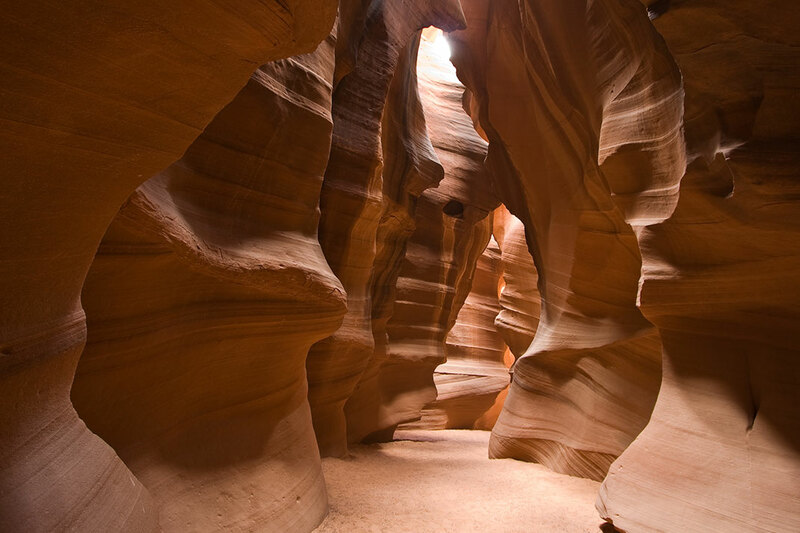 Formed by soil erosion, canyons are among the most beautiful geological formations of the nature. 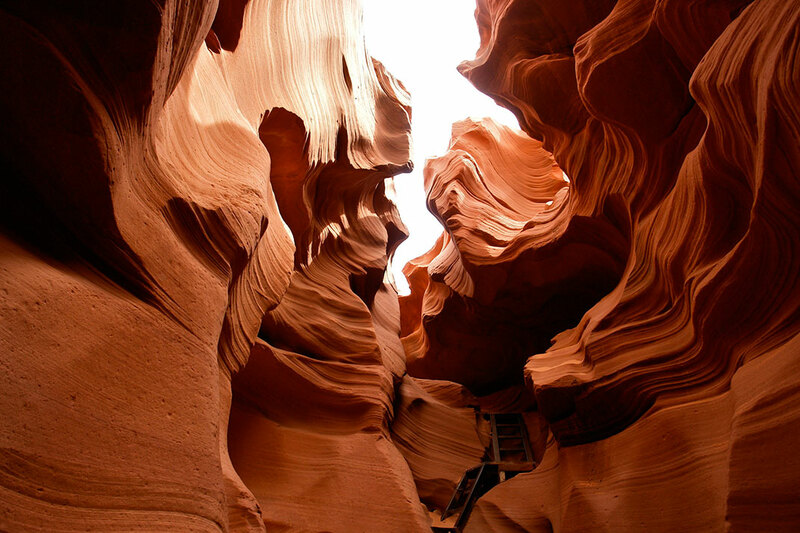 From France to the United States via China we make you discover these 12 absolutely breathtaking canyons. 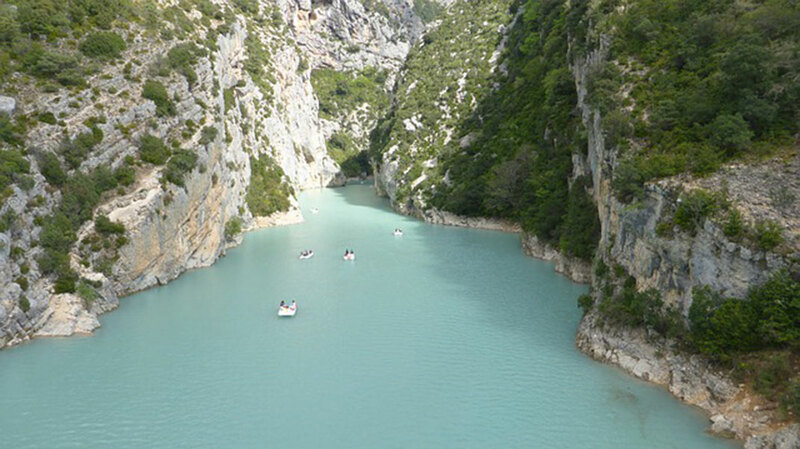 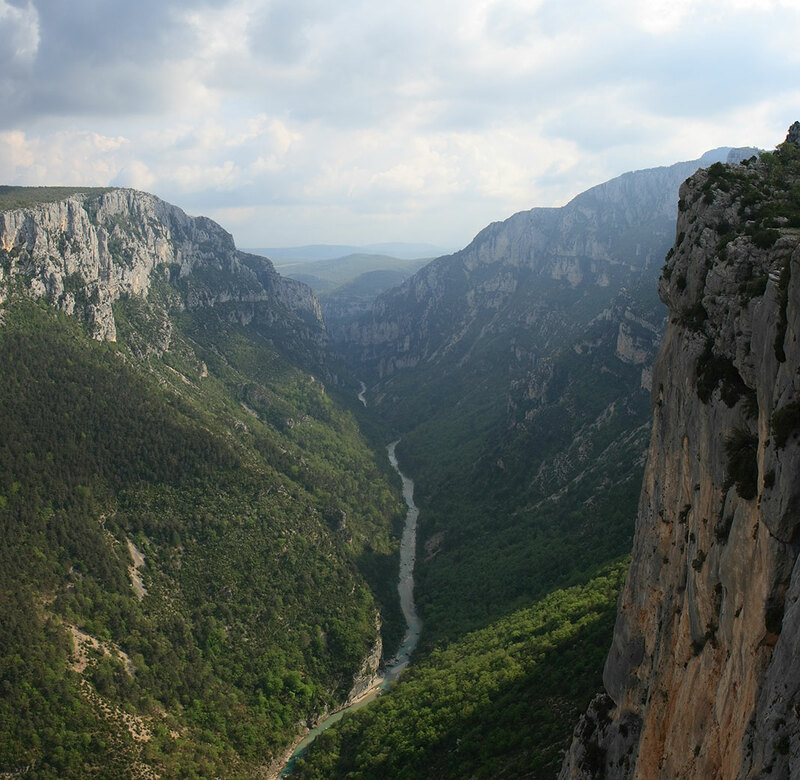 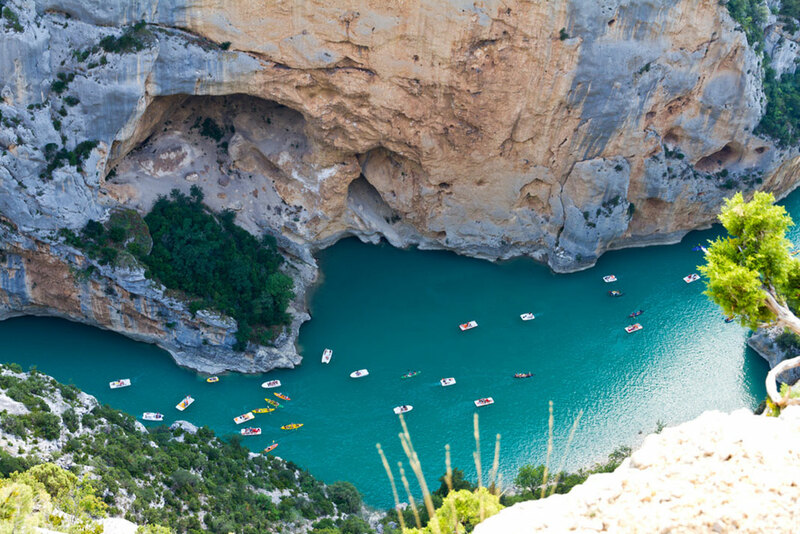 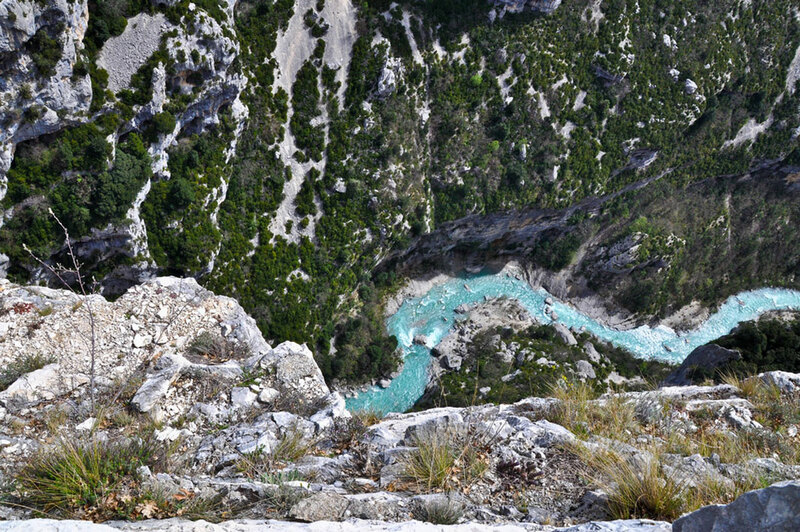 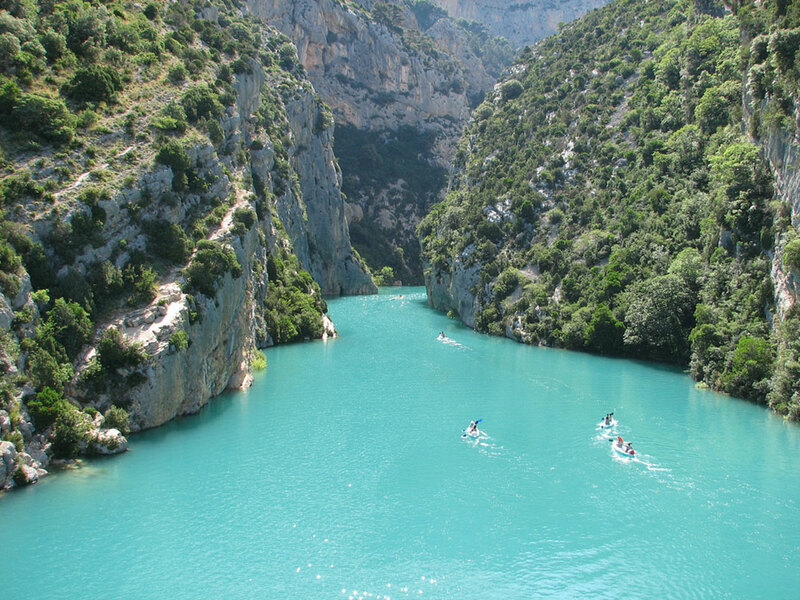 In French of Provence-Alpes-Côte d’Azur, the Verdon is a canyon formed by Verdon River, thus its name. 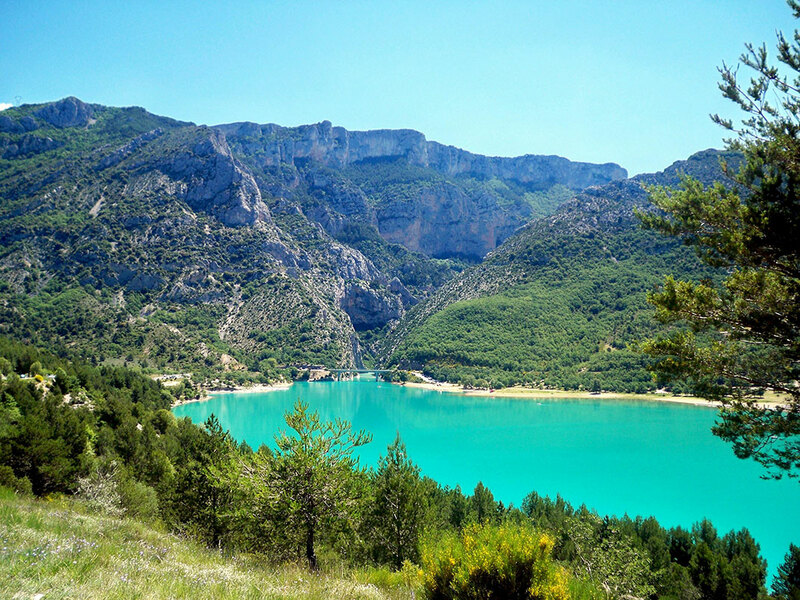 It separates the foothills of the Alps Castellane and Digne. 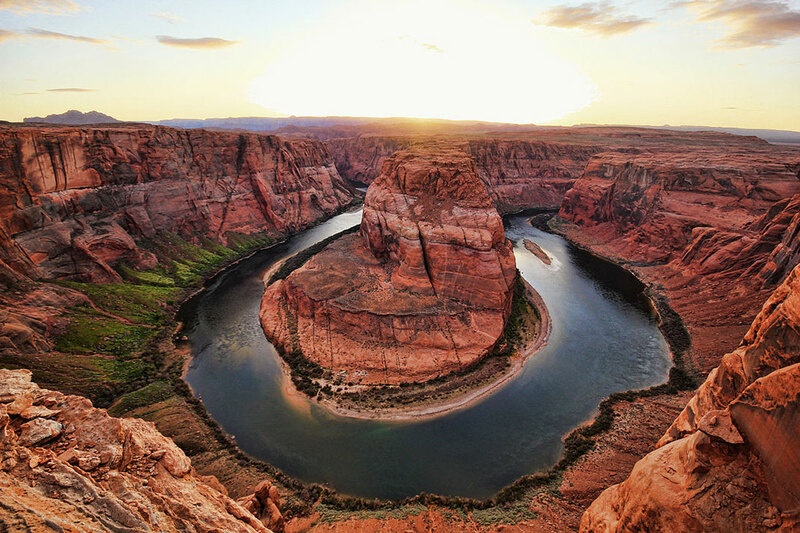 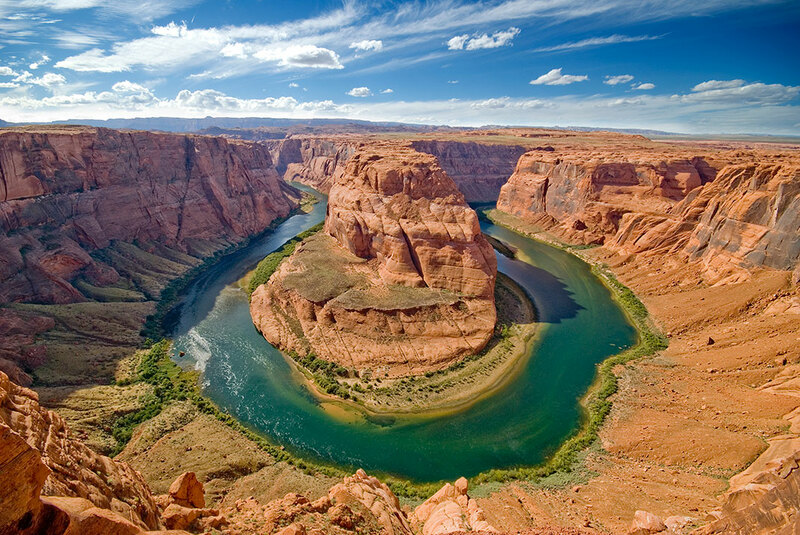 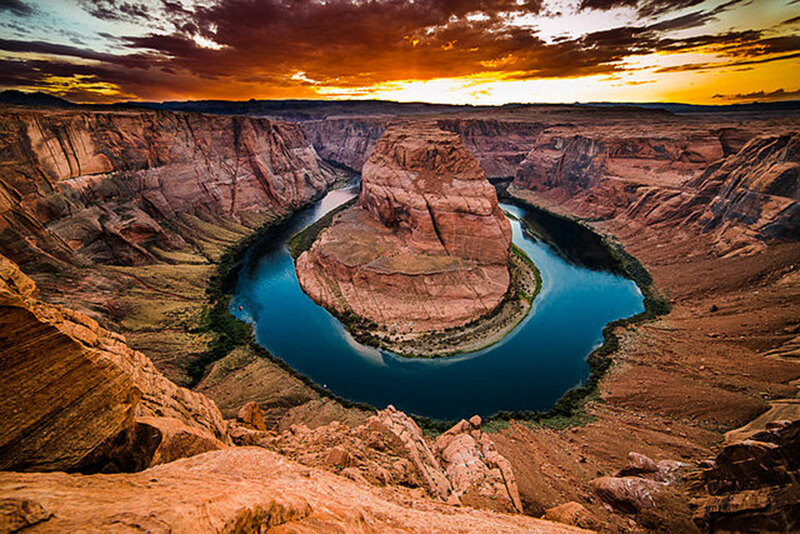 The Horseshoe Bend, or curve of the horseshoe, in French, is formed by Colorado River. 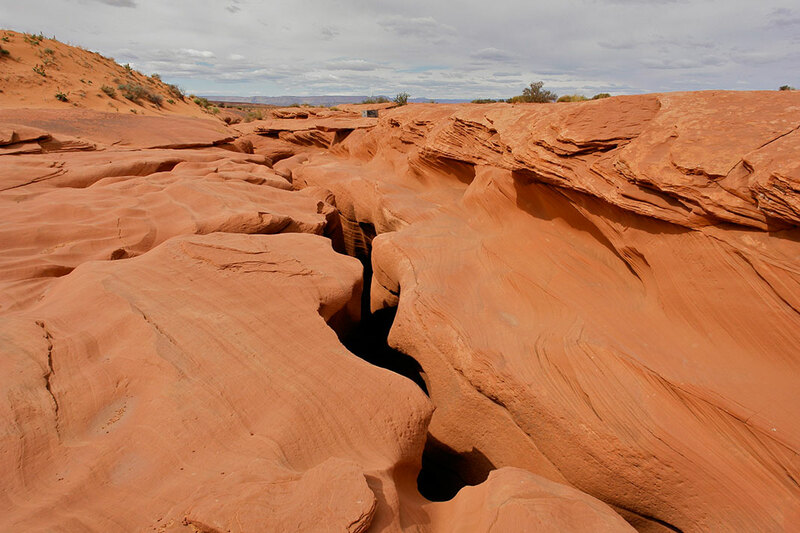 Located 6 km from the town of Page, Arizona, this canyon is widened by centrifugal force exerted by the water on the banks of the river. 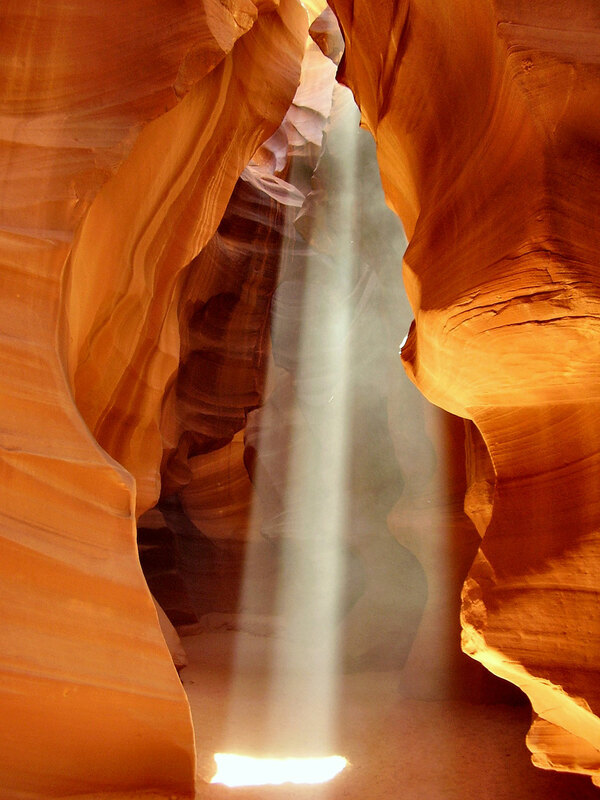 It is the most visited canyon in the world. 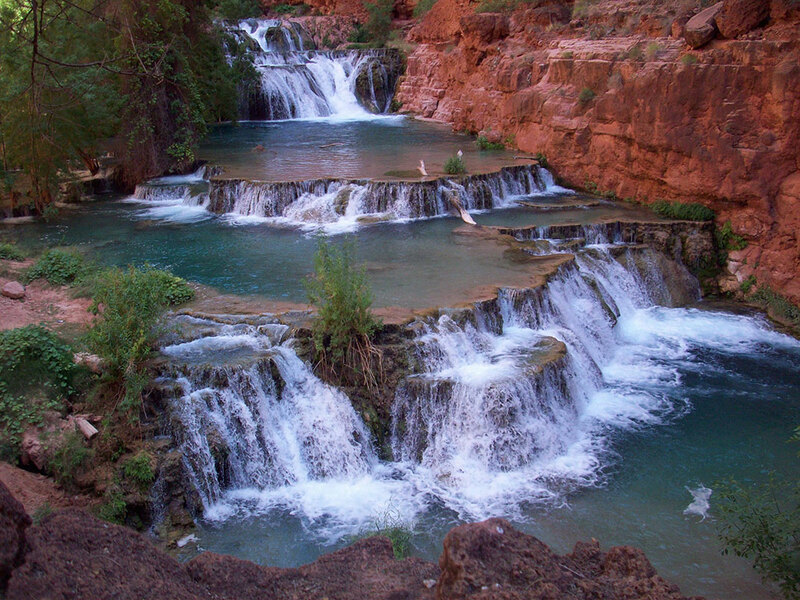 And perhaps the most beautiful. 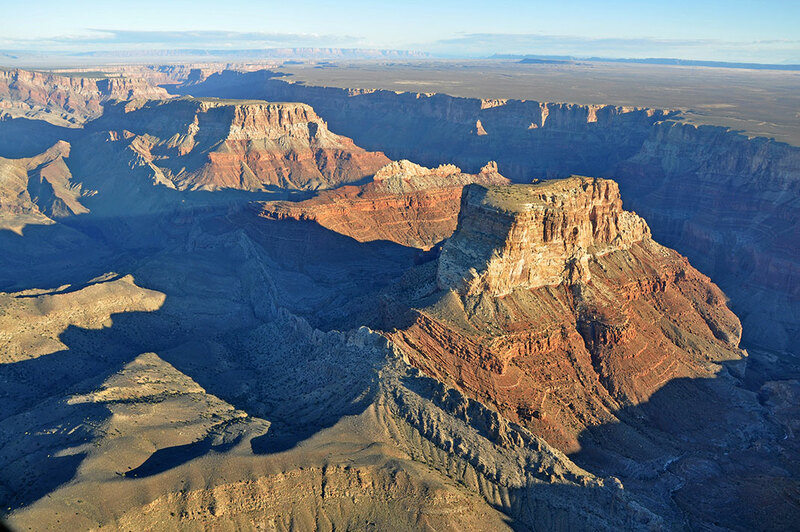 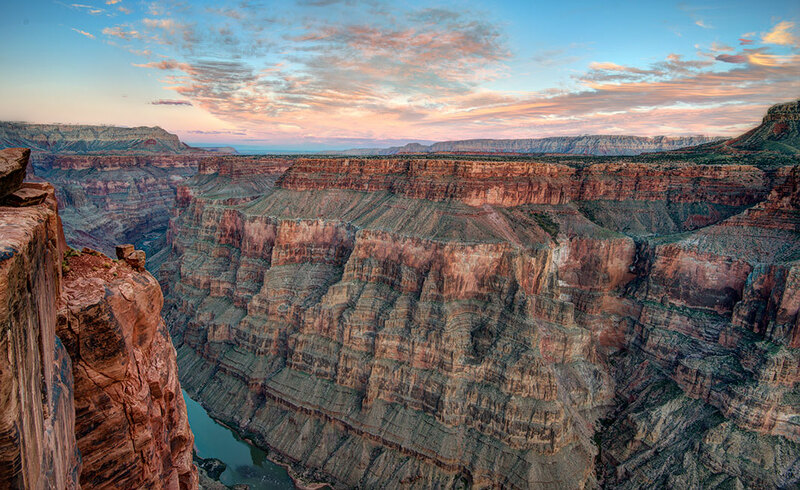 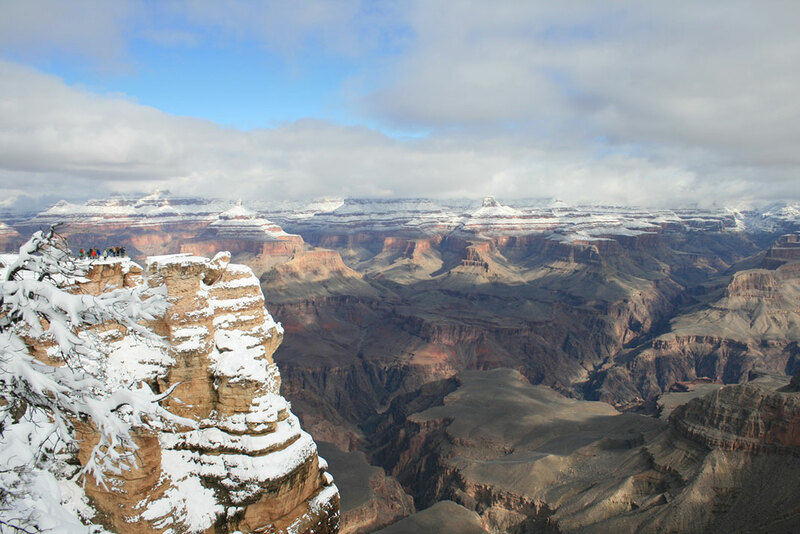 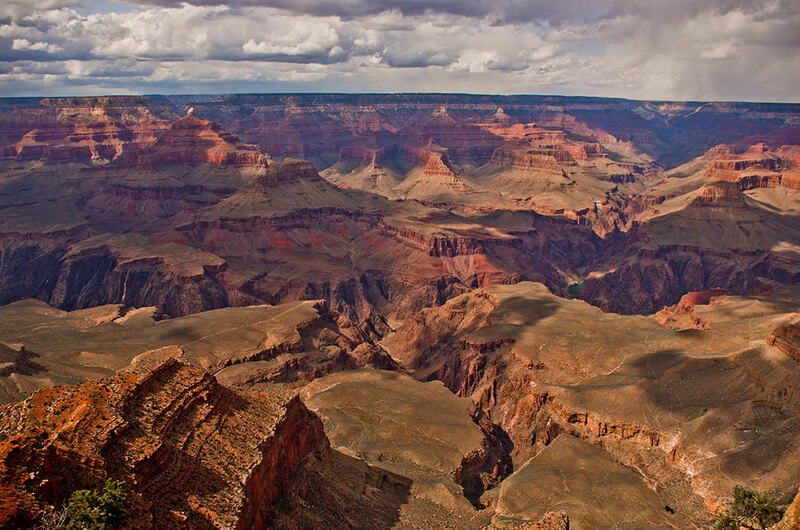 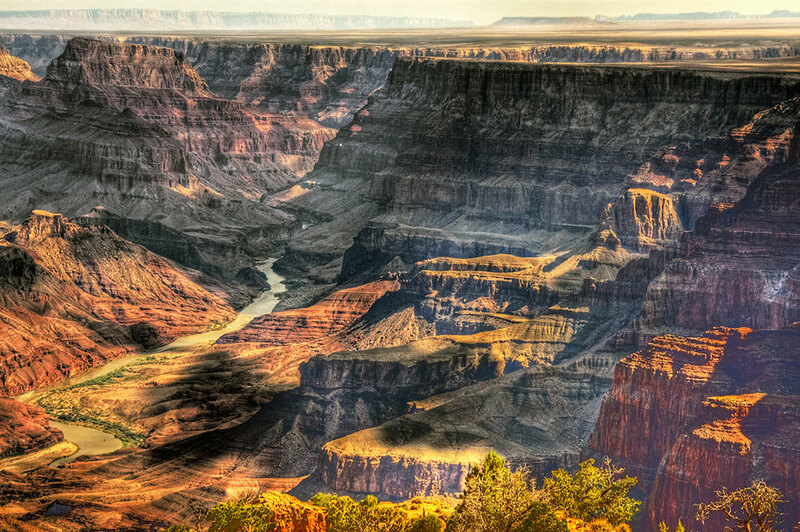 The Grand Canyon is 450 kilometers long and located in Arizona. 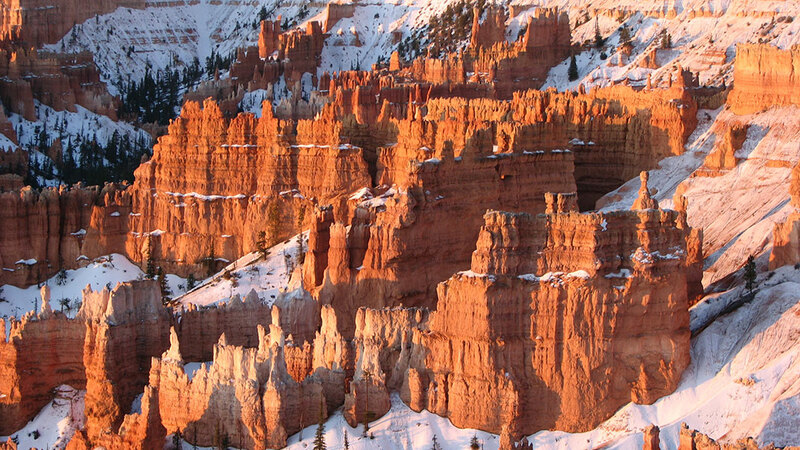 It has an impressive splendor and extraordinary dimensions. 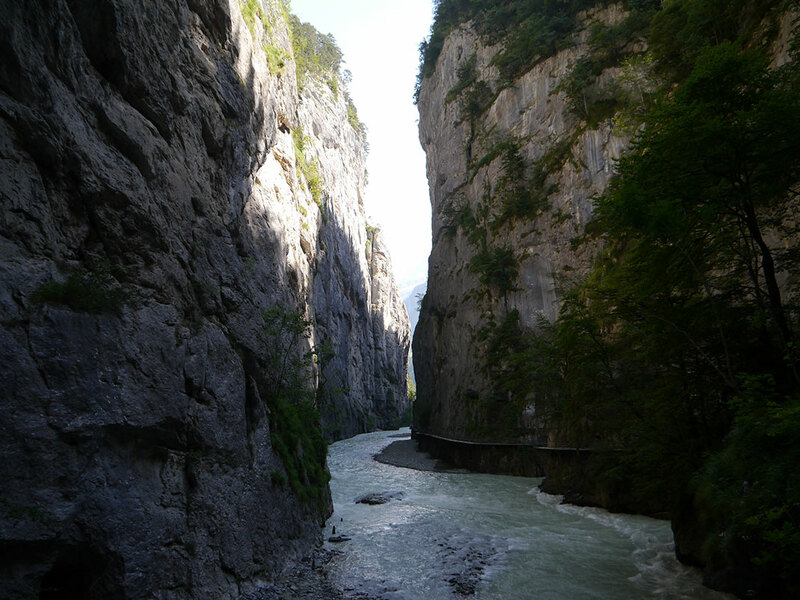 Its average depth is so 1300 km and its width up to 30 km. 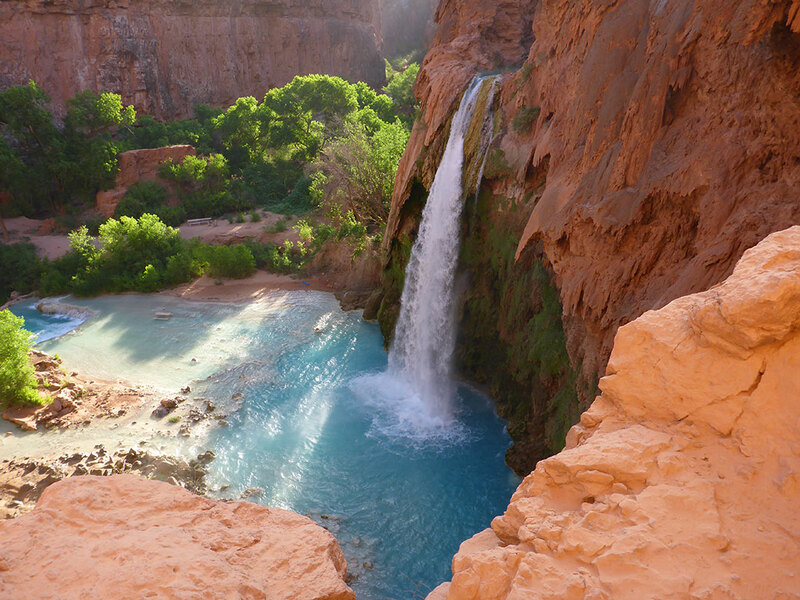 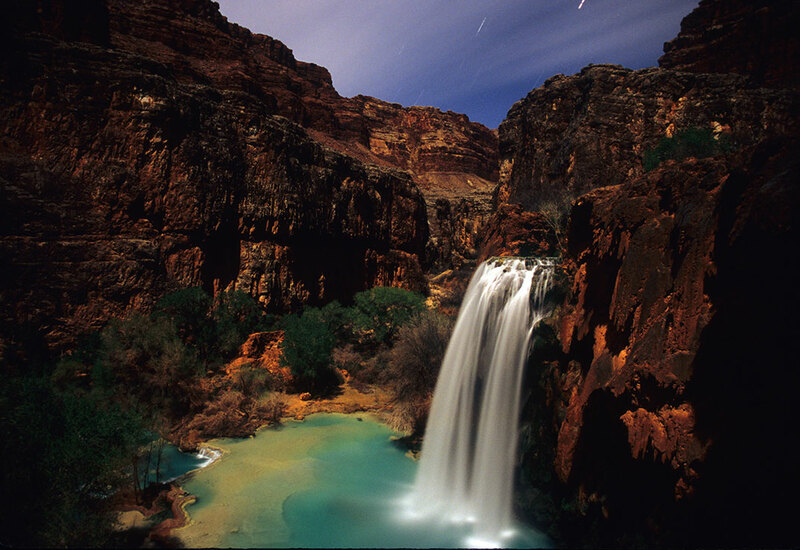 Havasu Falls are a part of the Grand Canyon, mentioned above. 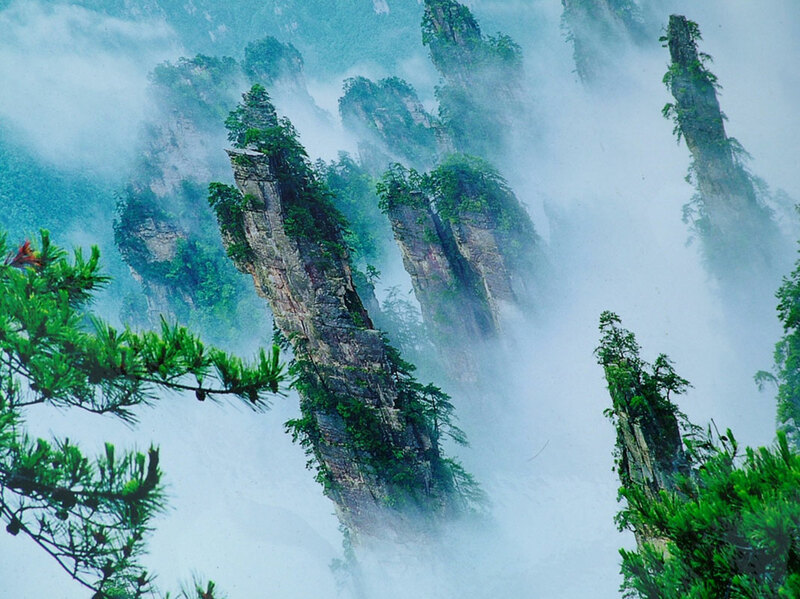 But their beauty and their quietness is undoubtedly unique. 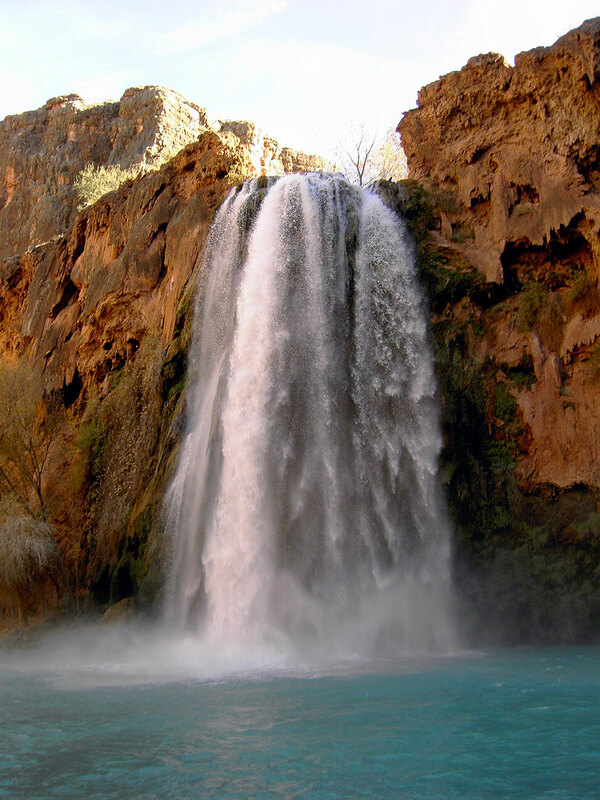 The high concentration of calcium carbonate in water gives it a blue-green color that adds to the charm of these impressive falls. 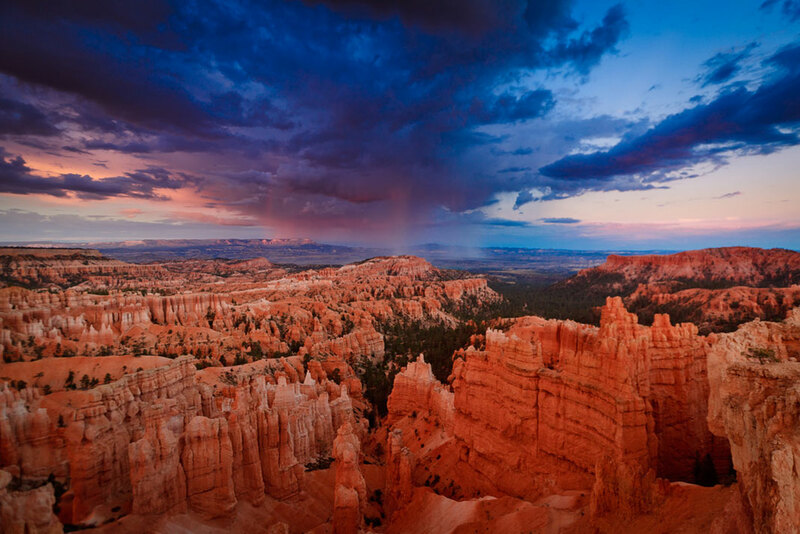 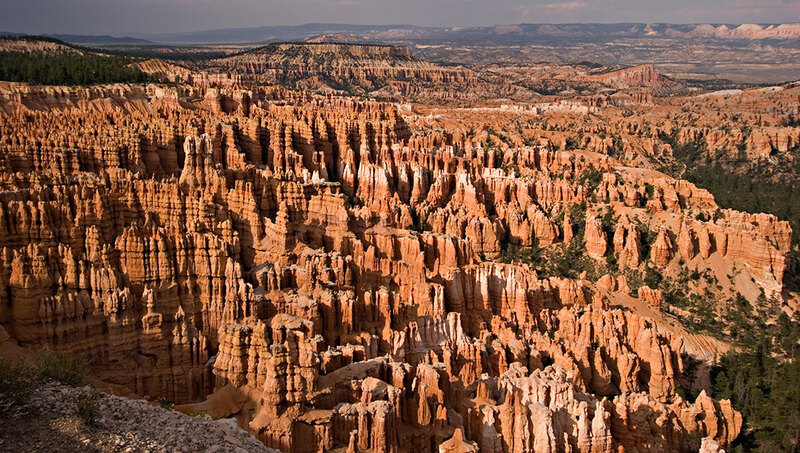 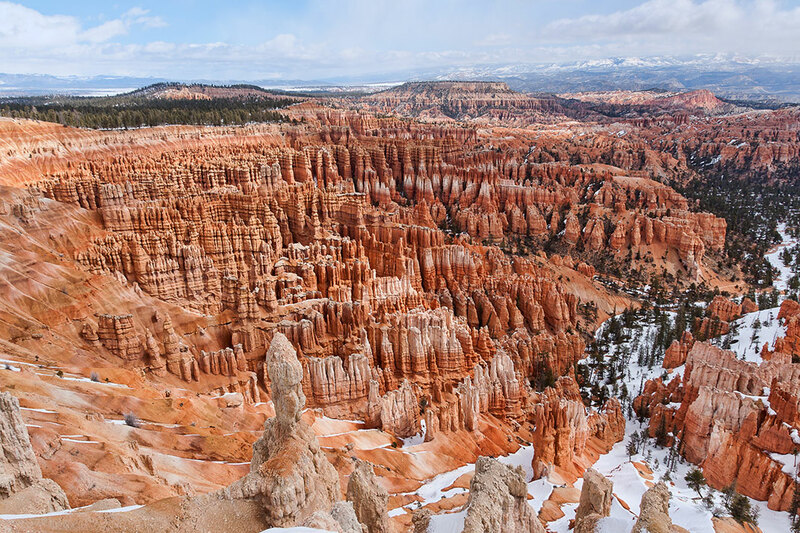 Smaller than the Grand Canyon but no less impressive, the Bryce Canyon is located in southern Utah, USA. 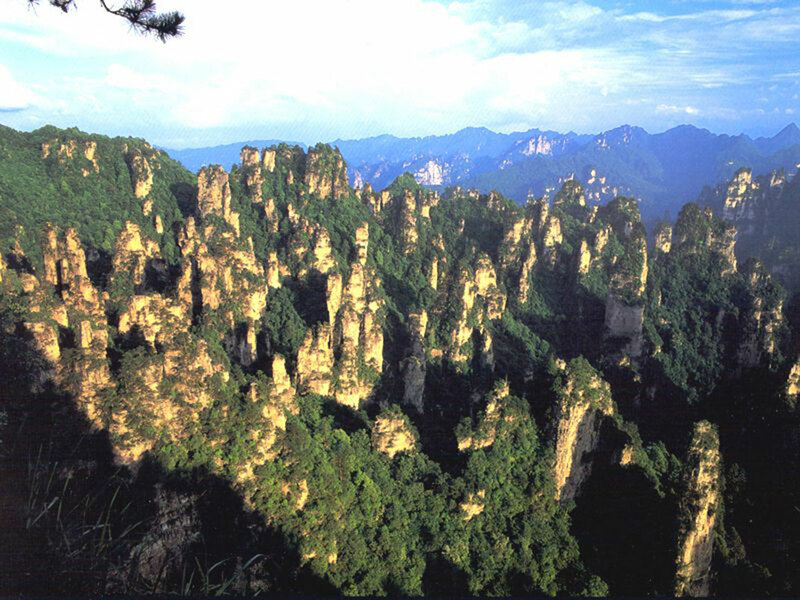 It is different because of staining rocks and their conical shape. 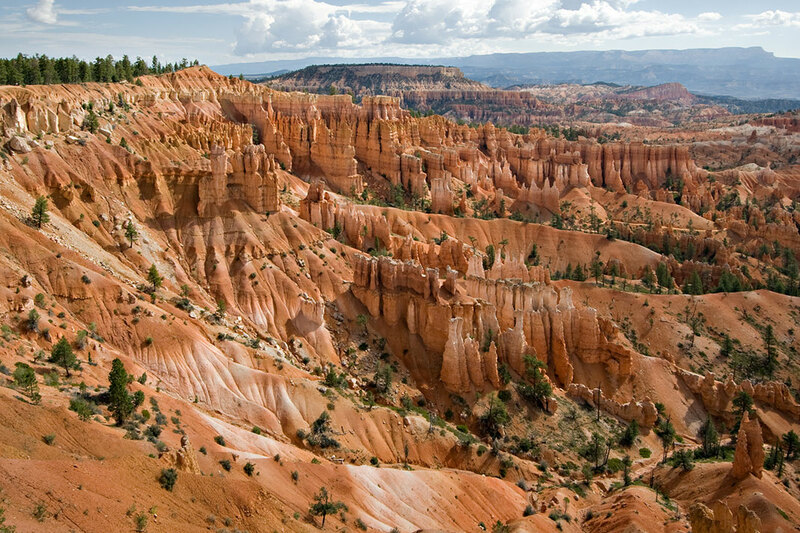 Since 1928, the Bryce Canyon and surrounding area have become a national park, the aim being to protect the riches of this unique place. 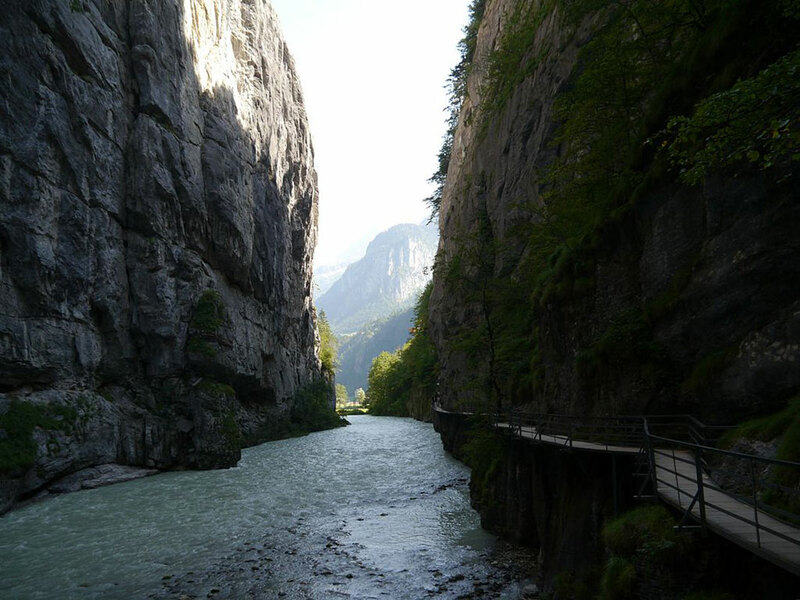 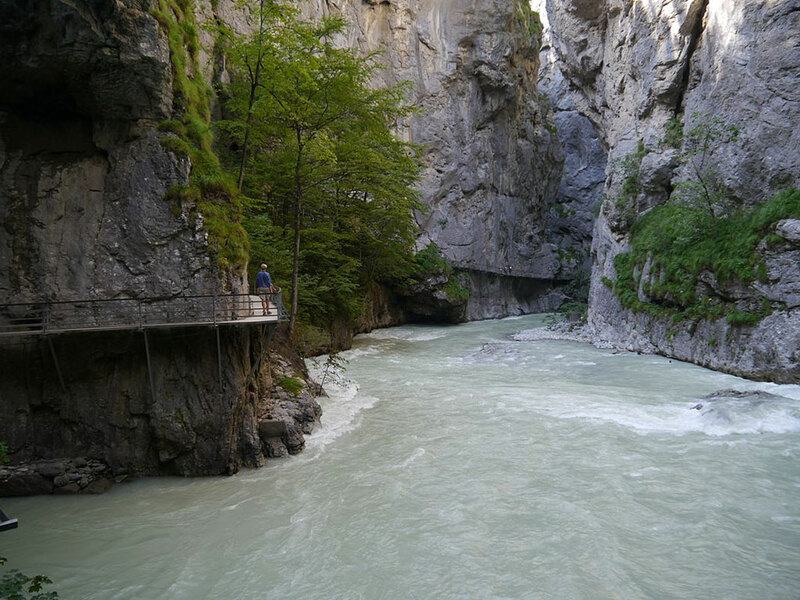 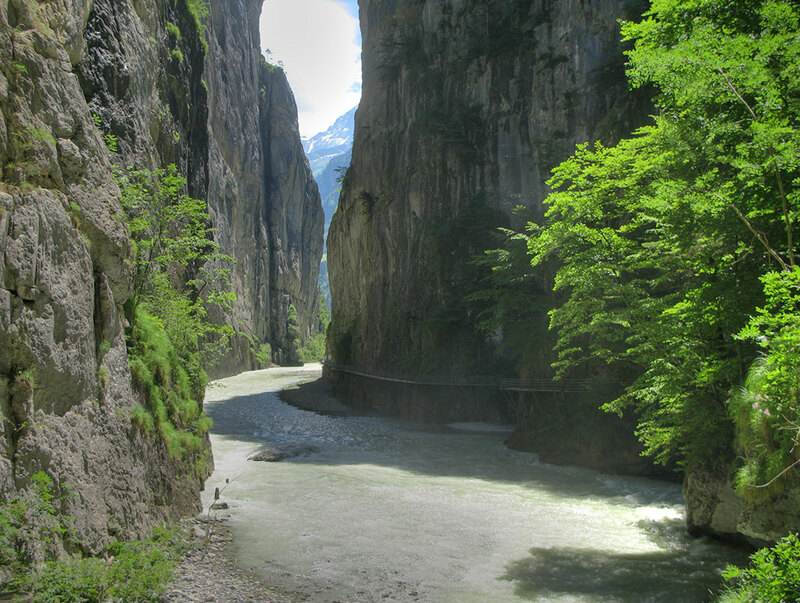 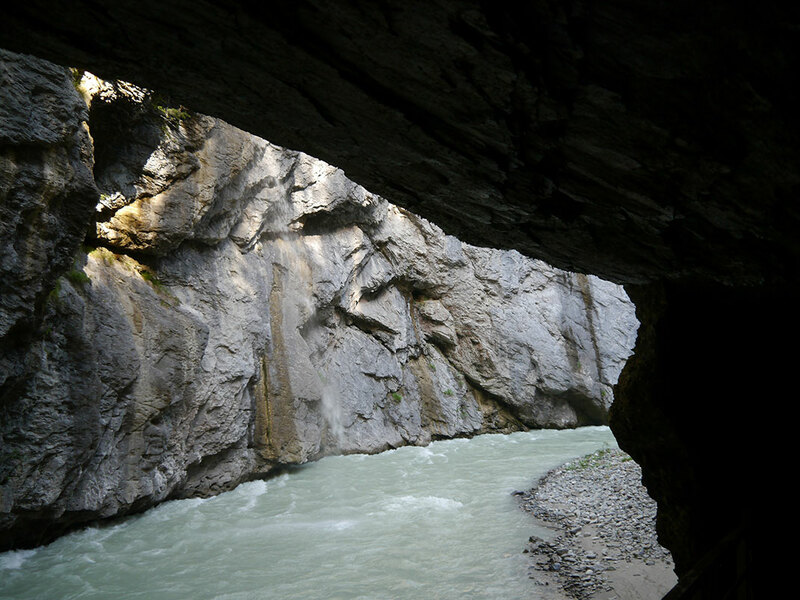 Located in Bern, Switzerland Aare Gorge is 1400 meters long and 180 meters deep. 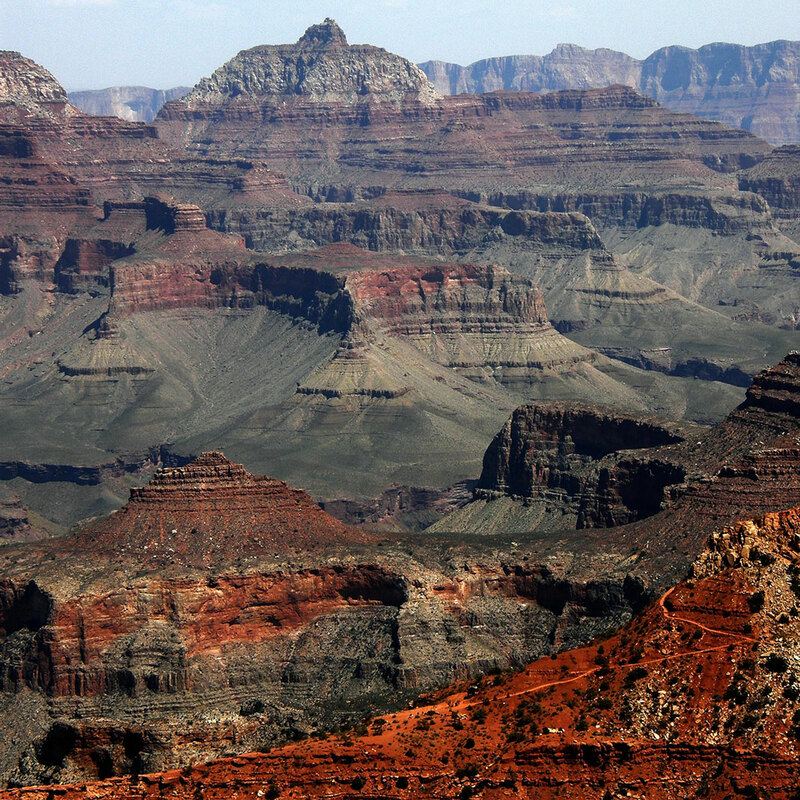 But more than size, it is its incredible beauty that speaks. 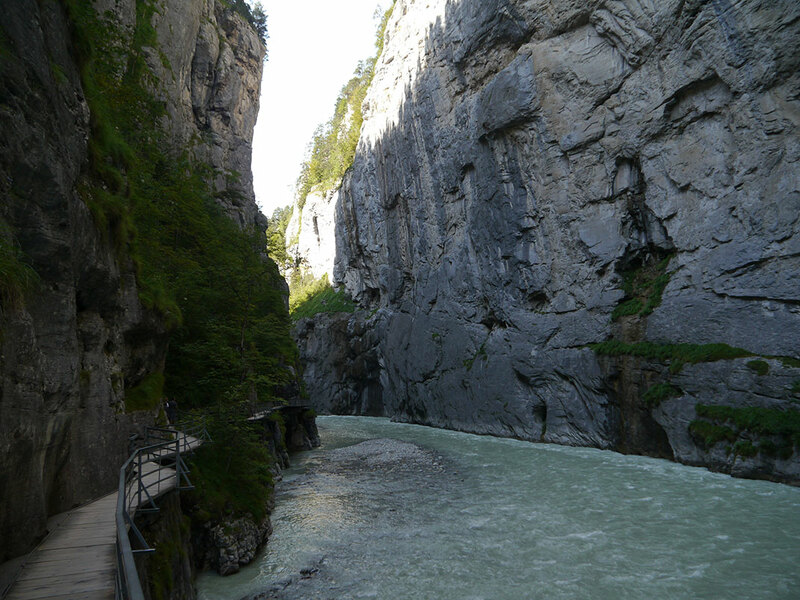 They have many footpaths that allow visitors to walk and appreciate their beauty from within. 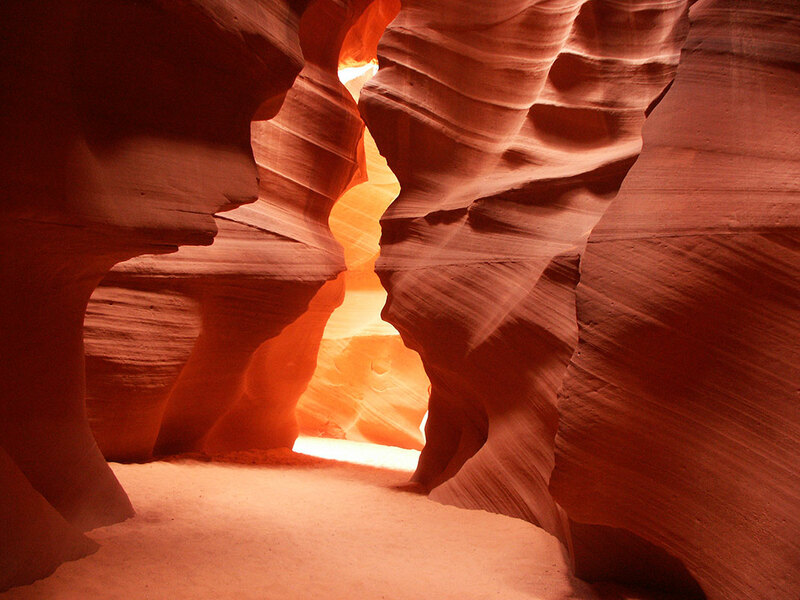 Very close to a canyon, Antelope Canyon is a masterpiece of nature. 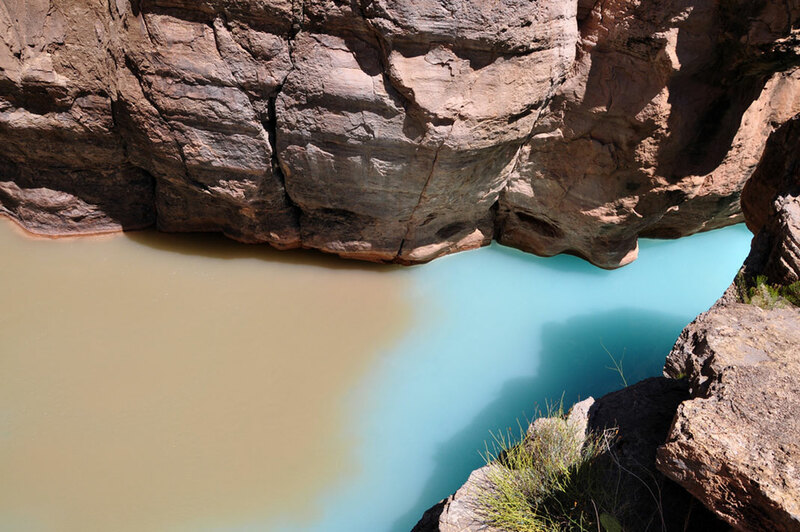 Particularly, its ability to let rainwater pass makes it unique. 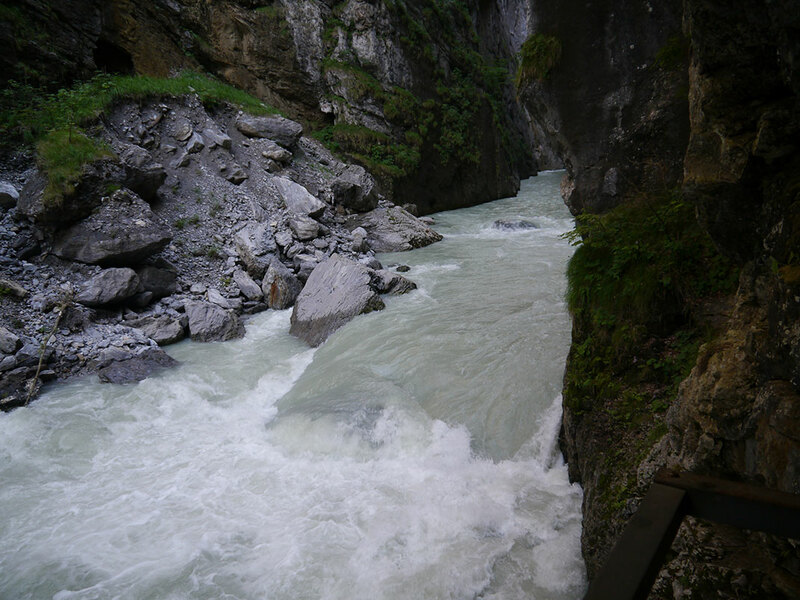 But this characteristic also makes it very dangerous because it is quickly flooded, and therefore potentially deadly. 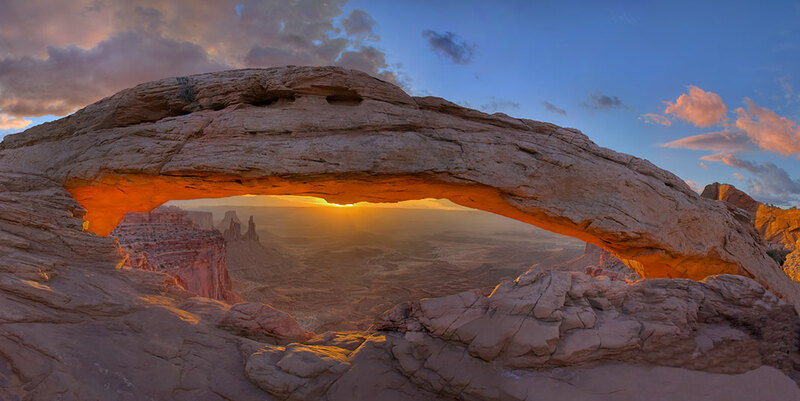 This is one of the most beautiful spectacles of the nature in the world. 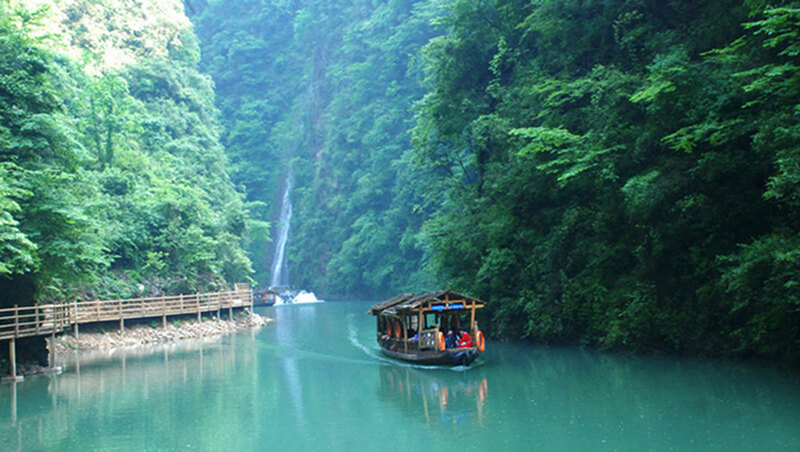 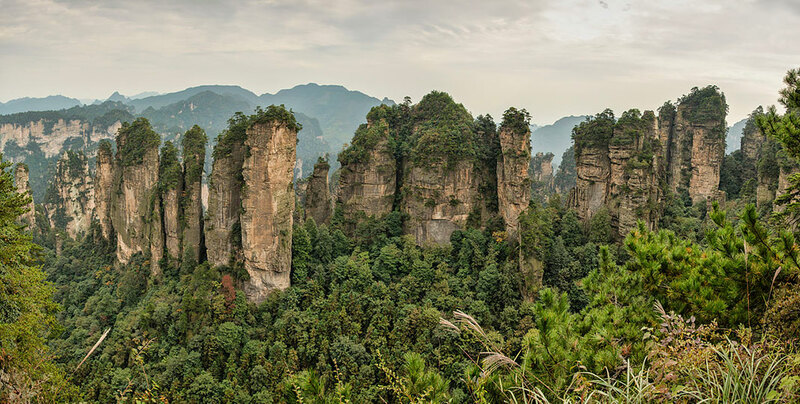 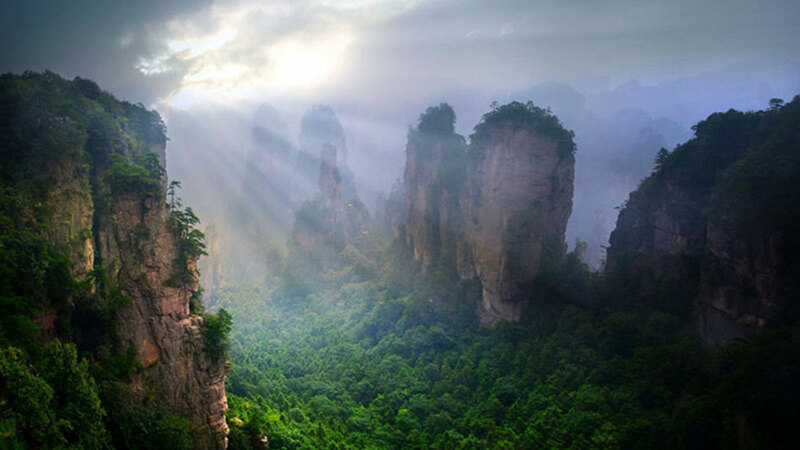 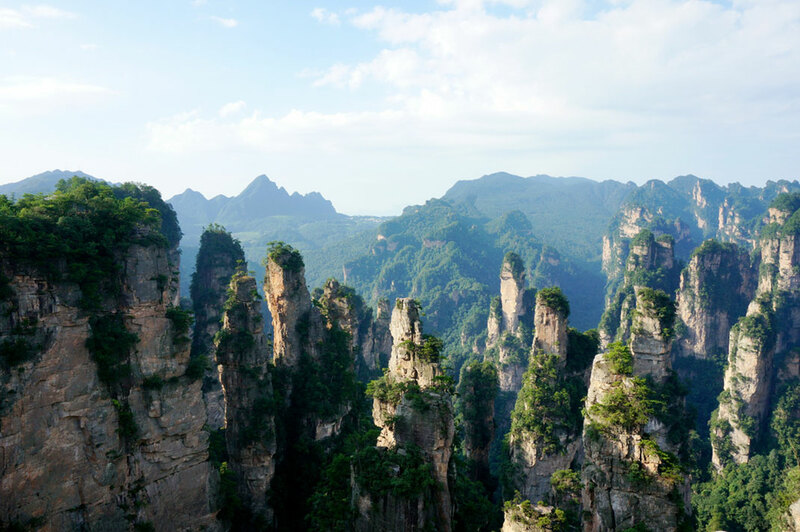 Located in Hunan Province of China, it is an impressive canyon. 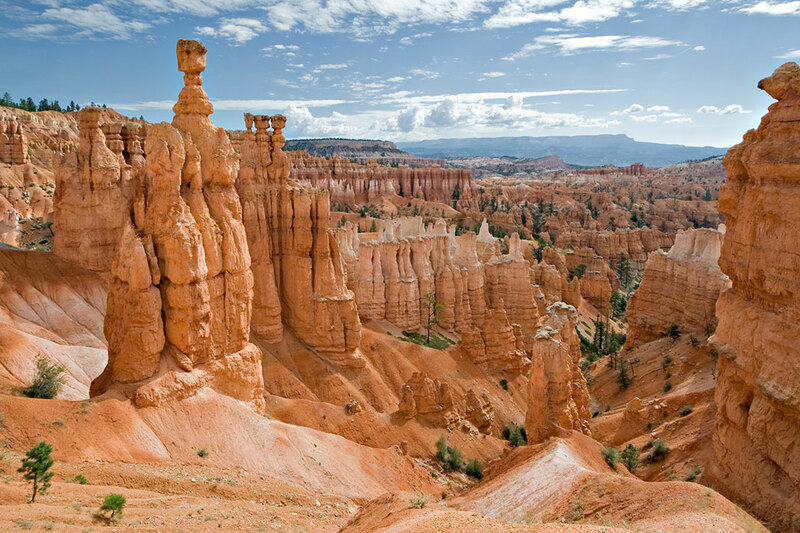 Its particularity is 3000 huge sandstone pillars. 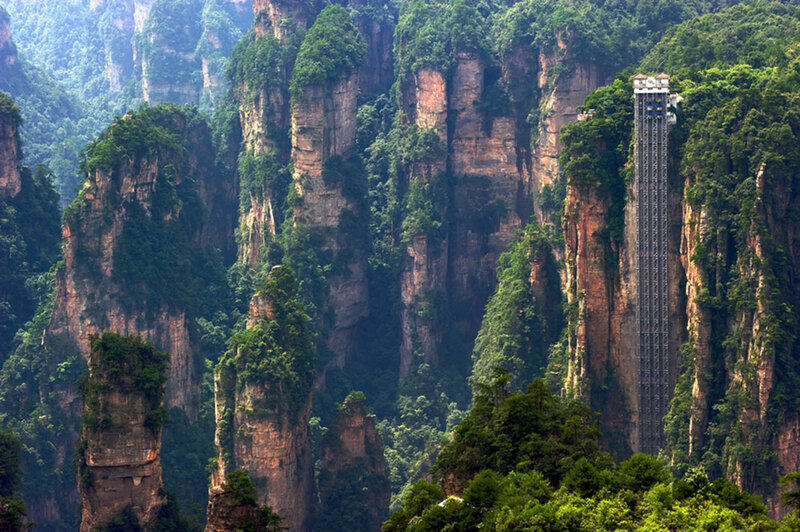 Certain of these columns are 200 meters. 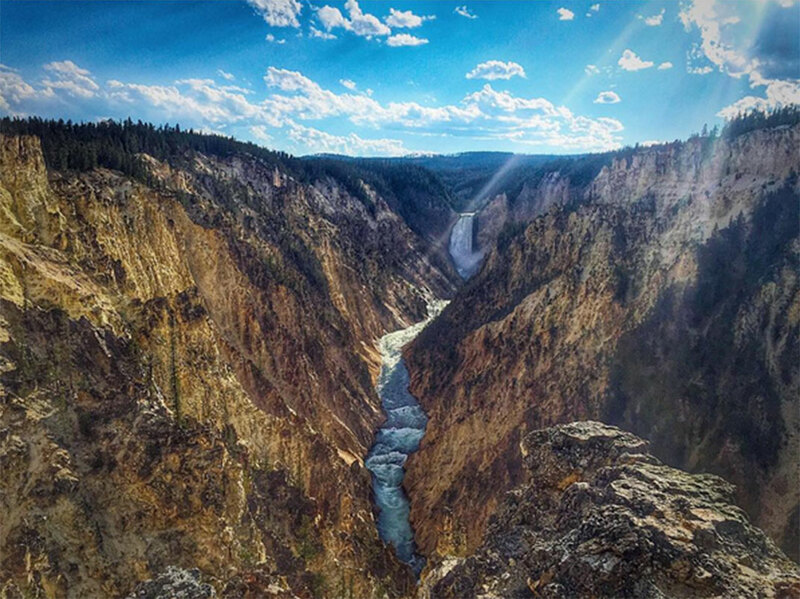 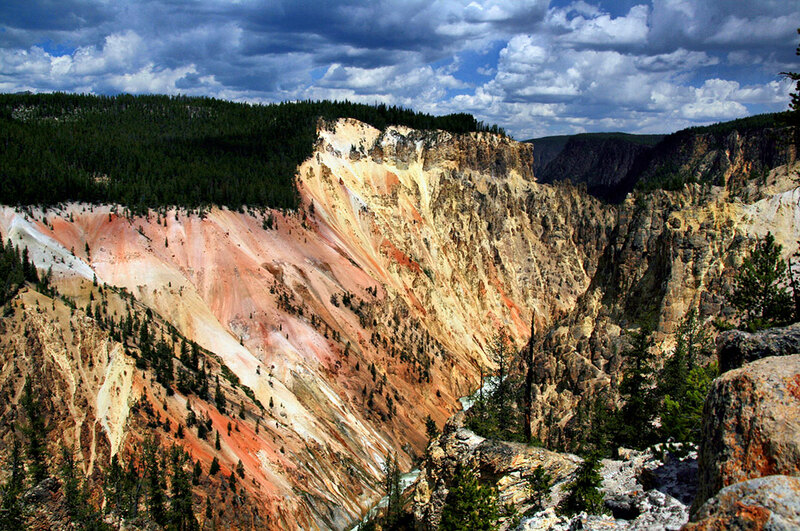 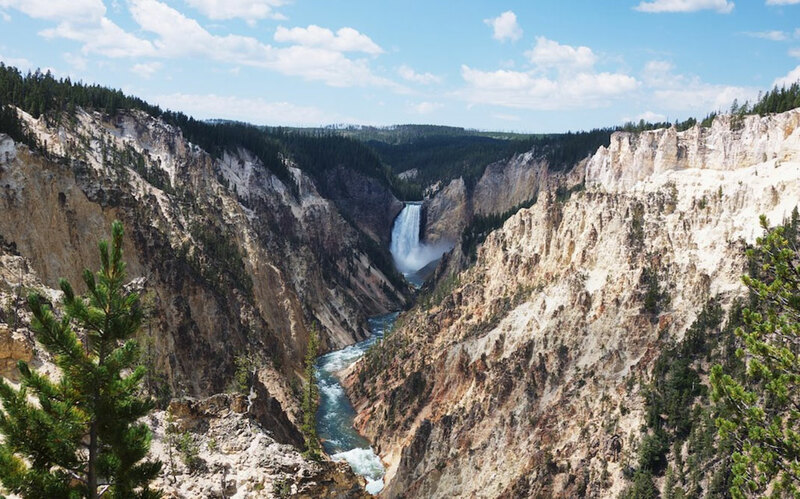 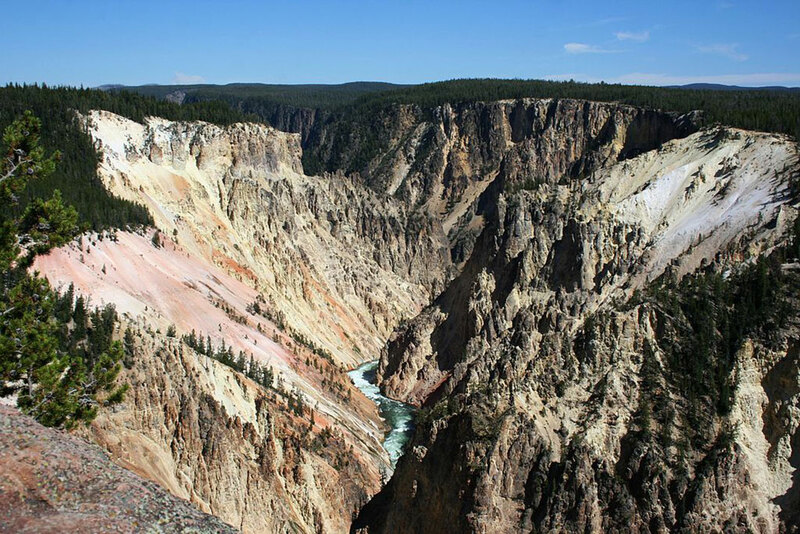 The Grand Canyon of the Yellowstone is as beautiful as it is impressive. 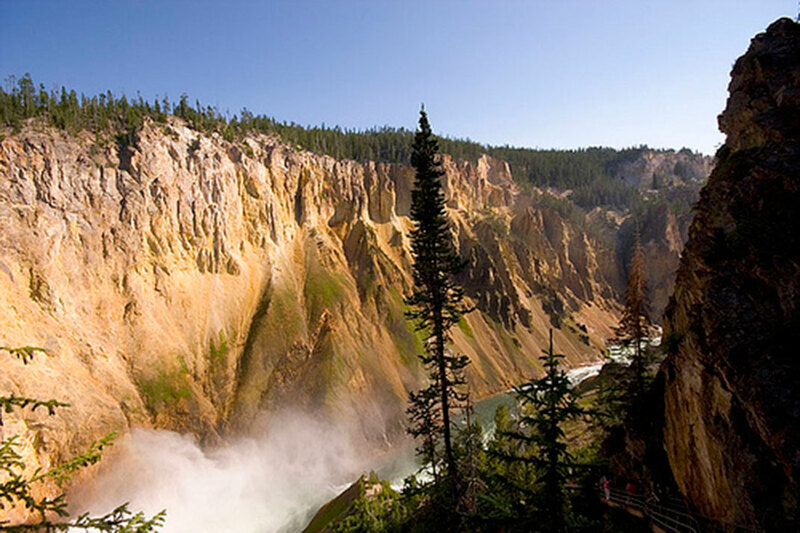 Not only that it is 39 km long, but also because it contains one of the most beautiful waterfalls of the United States. 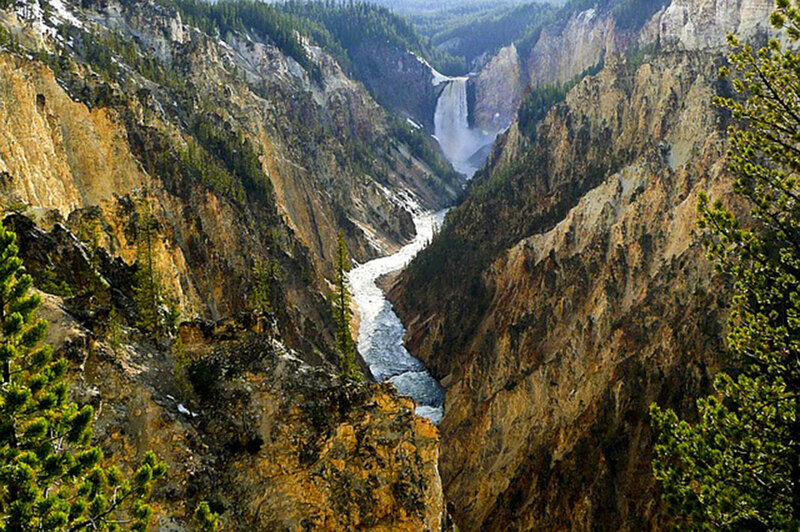 It is located in Wyoming which is a tributary of the Mississippi. 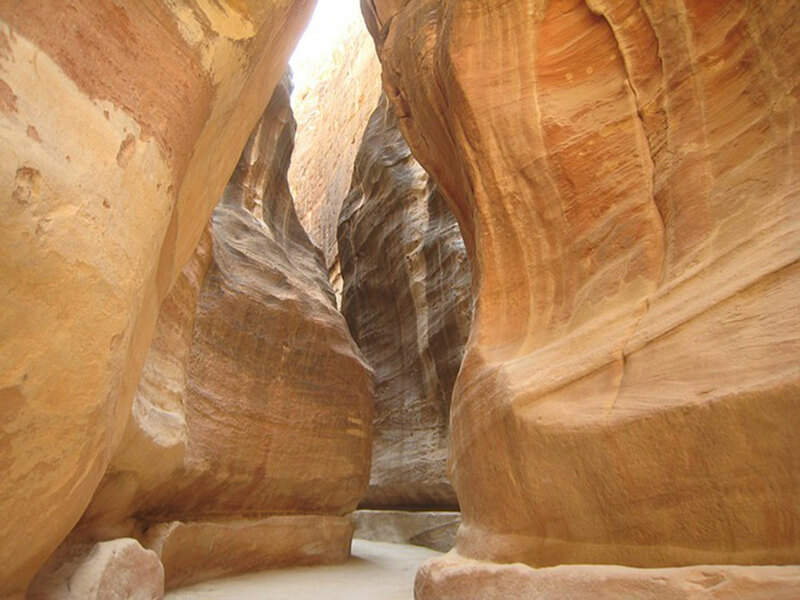 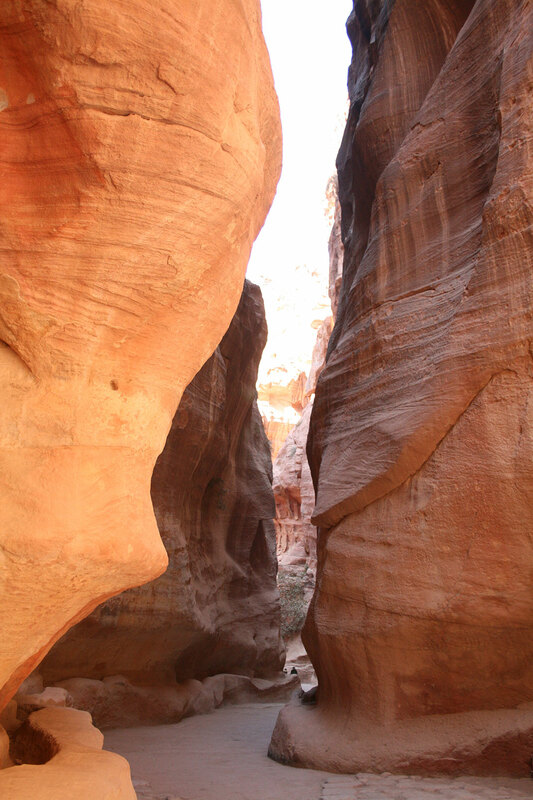 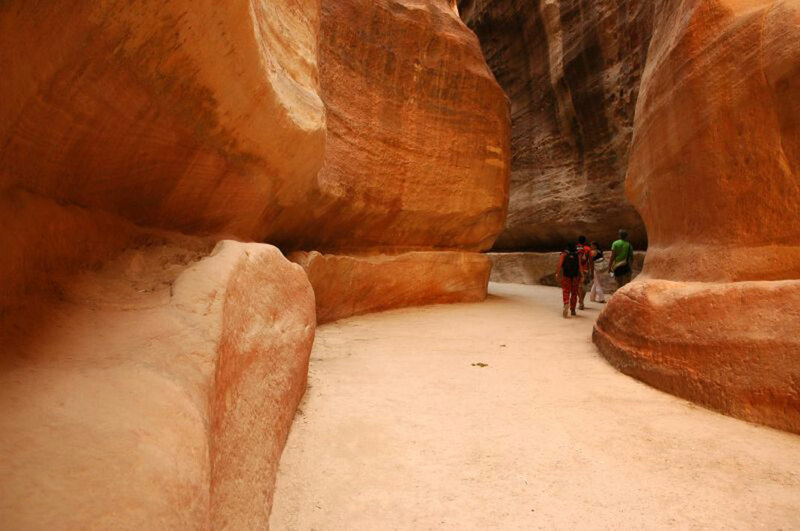 The Siq was formed by erosion in Jordan Wadi Mousa by a river that flowed there a few decades ago. 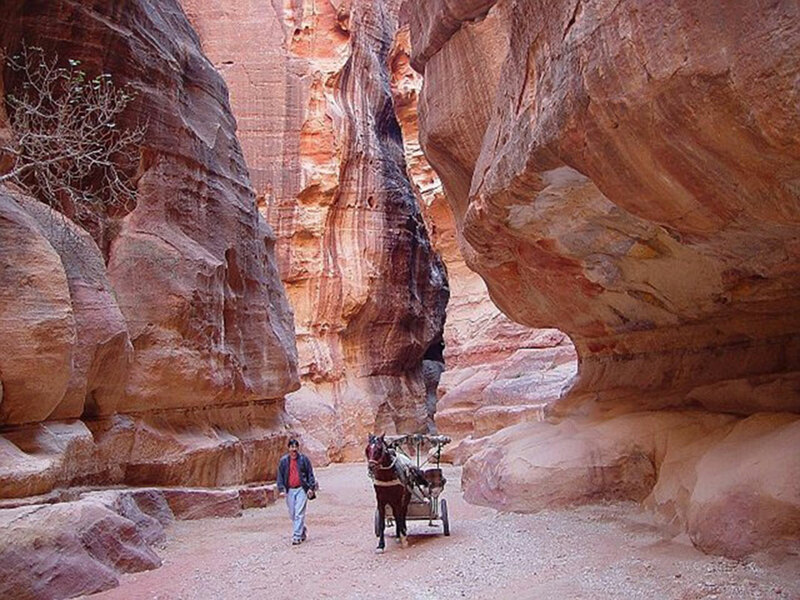 The width of the canyon does not exceed a few dozen meters and forms the entrance to the ancient city of Petra, listed since 1985 as World Heritage by UNESCO. 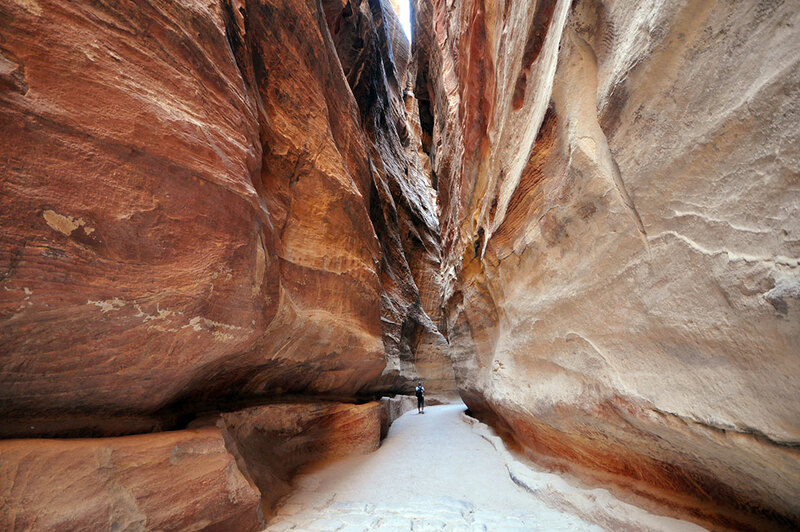 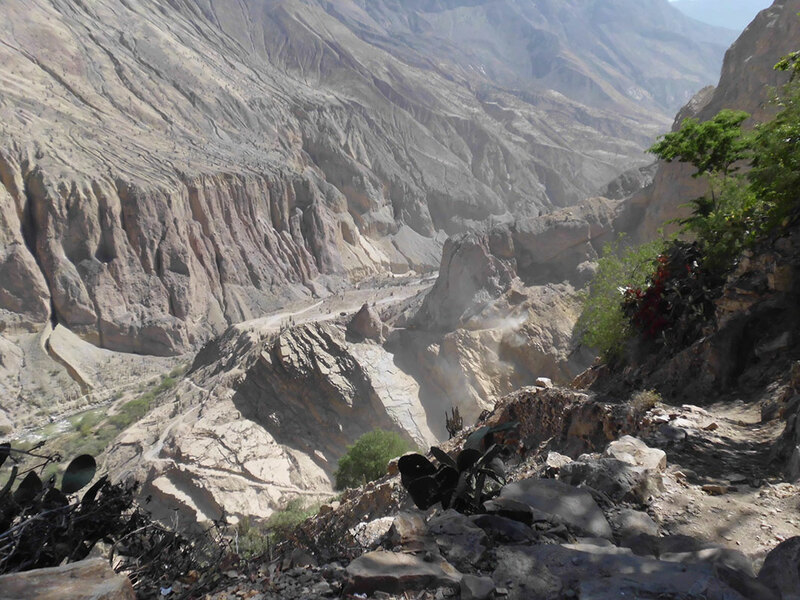 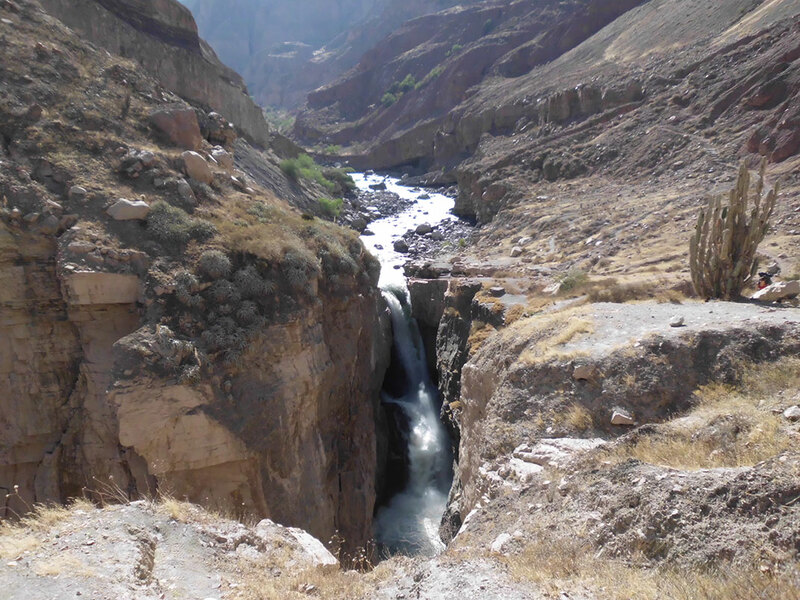 It is the deepest canyon in the world and therefore one of the most impressive. 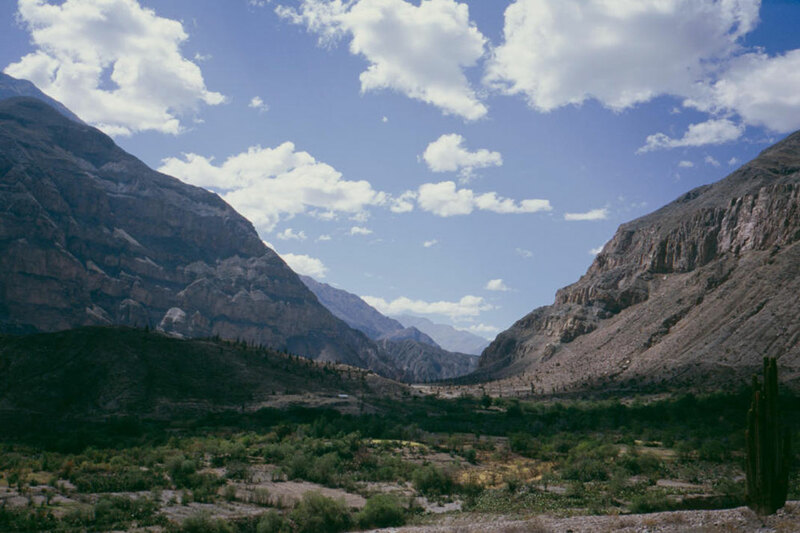 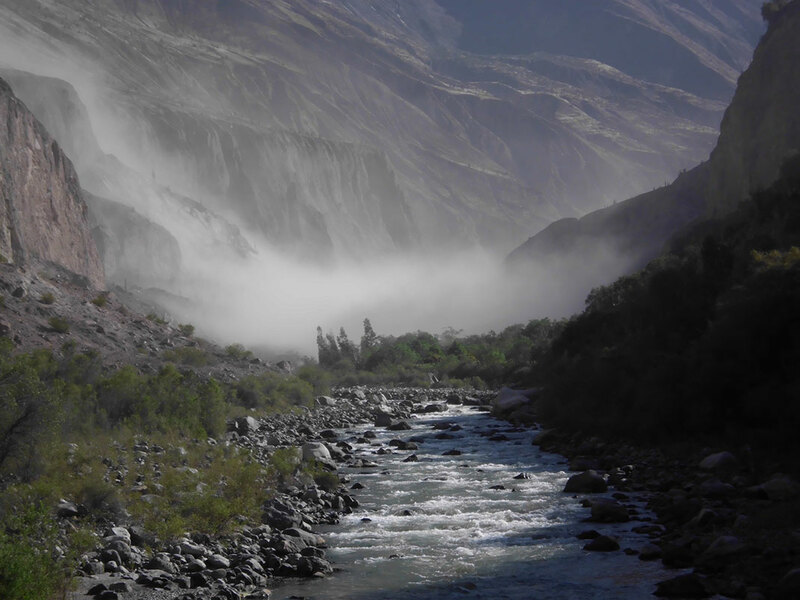 Located in the south of Peru, it is particularly difficult to access. 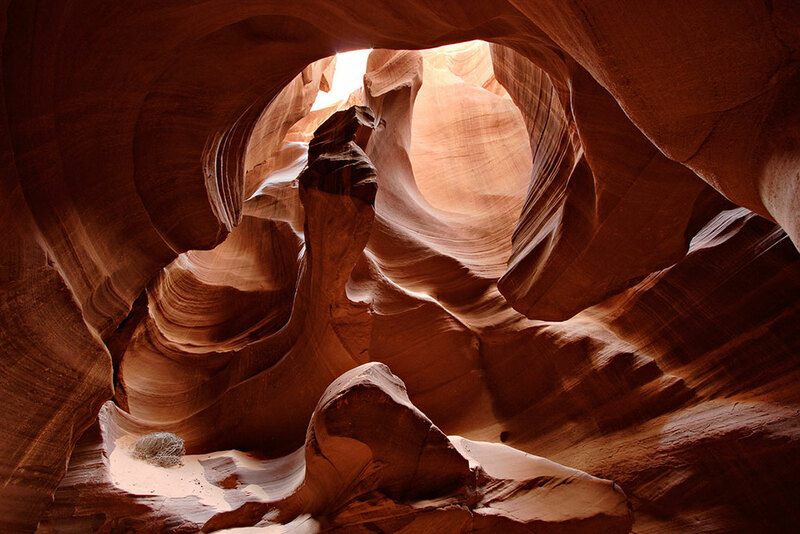 But its beauty and its impressive dimensions outweigh its inaccessibility, since it is 3535 meters deep. 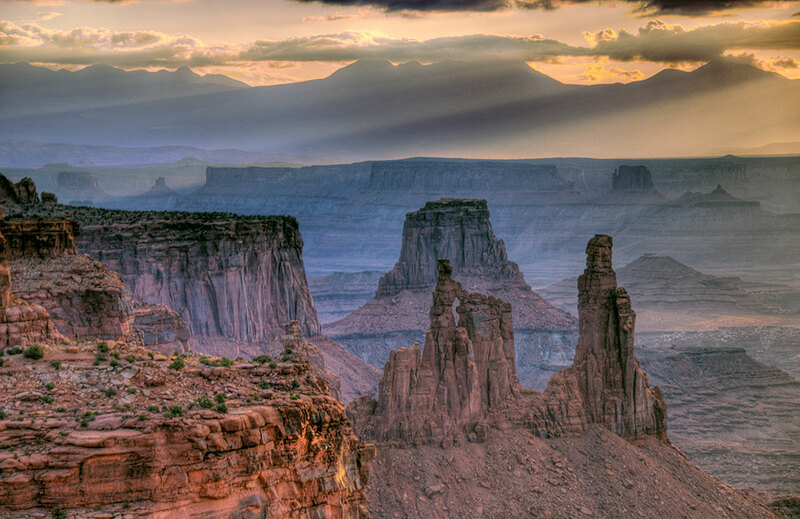 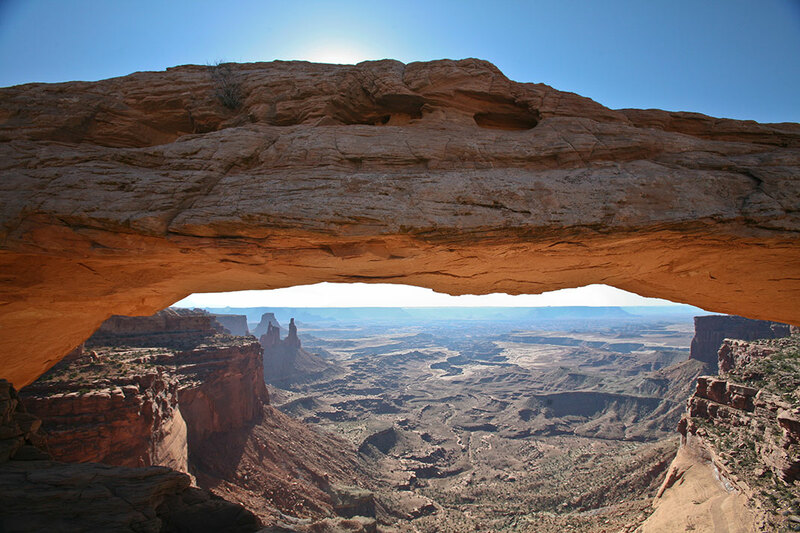 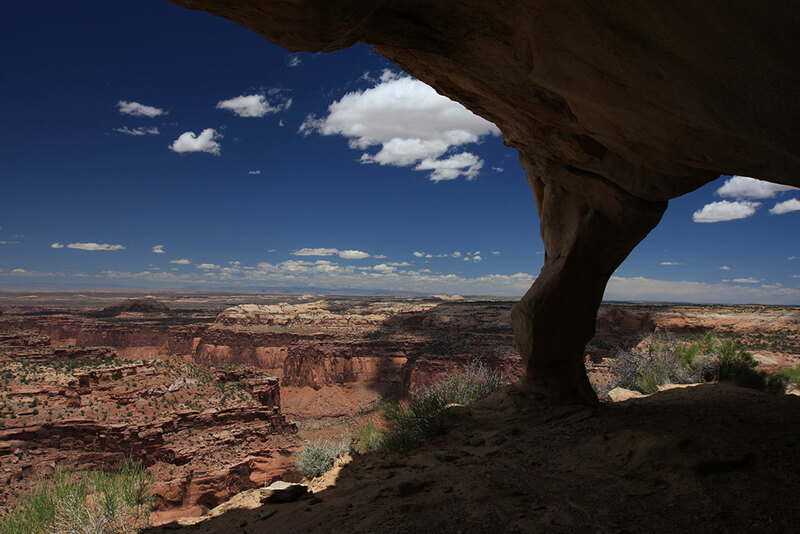 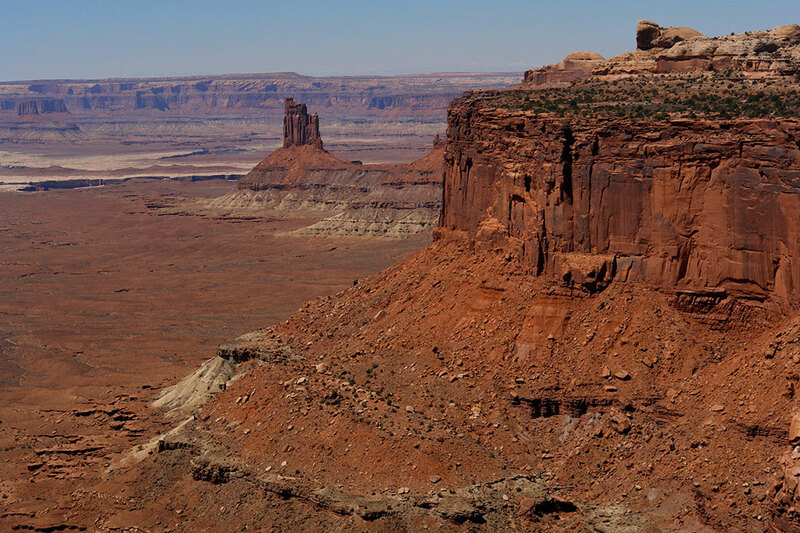 Located in Utah, Canyonlands is located upstream from the Grand Canyon. 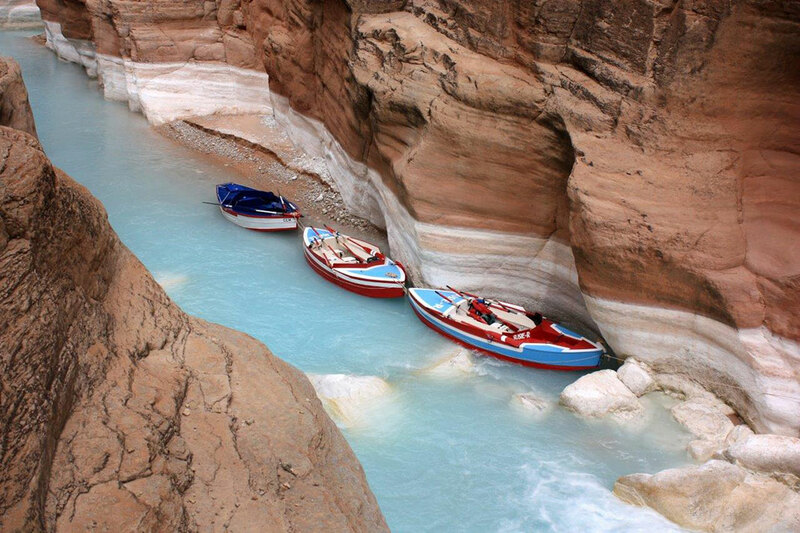 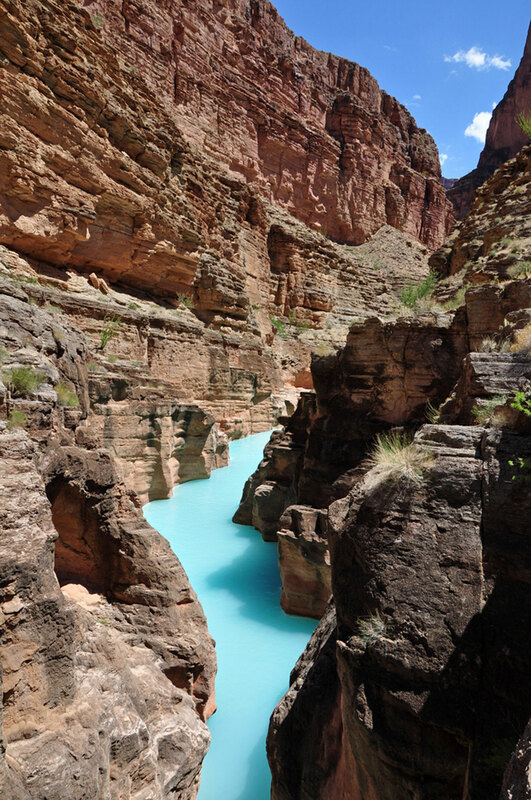 Above all, it offers the visitors with a range of colorful landscapes, eroded by the Colorado River and the Green River. 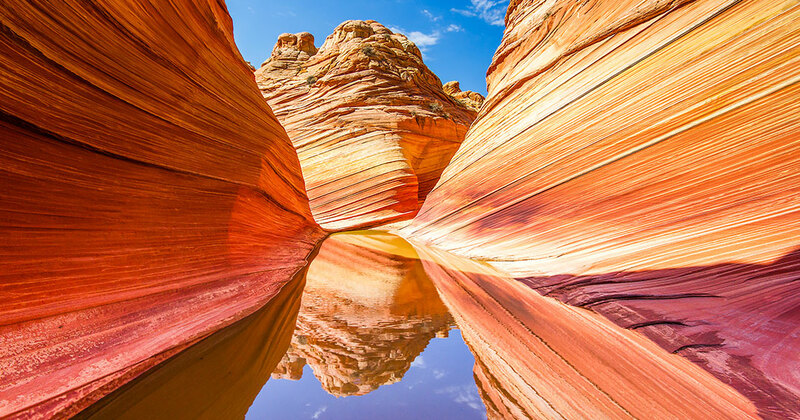 These canyons are not only magnificent, they are also the expression of the magnificence of nature and what it is capable of producing. 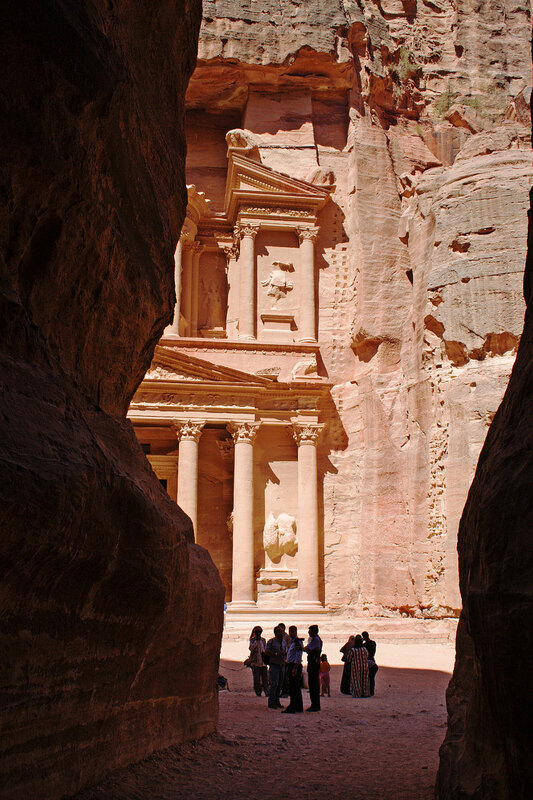 Did you ever have the opportunity to visit one of these places or do you hope to get there one day?